Freelancers face a unique set of advantages and disadvantages that traditional employees do not always have to deal with. When it comes to managing your morning, you have to be conscientious of how you structure your time and which tasks you prioritize. Otherwise, you could negatively impact the rest of your day. There is no sense in getting into a debate over whether it is better to be an early worm or a night owl – there are pros and cons to both. However, when you look at the world’s most successful business leaders, entrepreneurs, and formative thinkers, they almost all have a common thread: They make their mornings as productive as possible. Bill Gates, Mark Zuckerberg, Jack Dorsey, Oprah Winfrey, Richard Branson, Elon Musk, Tony Robbins – they do not all wake up at the crack of dawn. They do, however, make the most of their morning routines and maximize productivity. And they do so because they understand the importance of getting the day started on the right foot. Successful people prioritize their mornings and practice intentionality in the early hours of the day. Unsuccessful people tend to ignore mornings and view them as a burden, rather than an opportunity. Mornings set the tone for the entire day. If you get off on the right foot, you will have a much more optimistic outlook. If things go wrong, you will want to curl up and hide. Sleep allows you to recharge your mental capacities, which means willpower is arguably at its highest in the morning hours. Over the course of the day, it depletes. Mornings tend to be slower than other parts of the day. At least until mid-morning, there are fewer phone calls, distractions, and obligations. Mornings give you a chance to invest in yourself, before investing in other people and priorities. Each morning is a catalyst for the rest of the day. Whether you enjoy waking up early or prefer to sleep in has nothing to do with it. How you approach the morning hours will have an impact on the entirety of your day. And each day ultimately has an impact on your professional and personal success. As a freelancer, your mornings can either be extremely positive or negative. Since you probably spend a lot of time working from home, this means you face an enormous amount of distractions. You also, however, have opportunities that others don’t. Suppressing the risks and amplifying the opportunities is key to your success in this area. Motivational speaker and best-selling author Zig Ziglar famously told people to change the vernacular around their mornings. Instead of calling it an “alarm clock,” Ziglar encouraged people to call it an “opportunity clock.” When the “opportunity clock” goes off, you shift your frame of mind so that you’re thinking about all of the good, productive things you can do with your day – not the frustrations you have with waking from your slumber. If you live with other people – such as a roommate, significant other, or children – it is smart to make a point of waking up first. By getting up while everyone else is snoozing, you enjoy the benefits of a quiet house without distractions. Use this quiet time wisely. If you are a religious person, spend some time reading and praying. Otherwise, you might benefit from some general meditation exercises. Whatever the case may be, spend some time easing into the day with thoughtfulness. Engaging in an early morning workout – whether jogging, weightlifting, yoga, or playing basketball – will improve both your physical and mental capacities for the remainder of the day. Just how effective is an early morning workout? According to one study, people see a 12-percent improvement on cognitive tests after exercise, which is twice the boost caffeine provides. When your alarm goes off in the morning, it is tempting to reach for your phone and immediately check email, browse social media, and read the news. And while there are mornings where this is okay, make it a priority to stay unplugged for as long as you can. There is plenty of time for getting connected later in the day. For now, you want to spend your first few hours of each day without outside pollution and stressors. If you work out of your house, you know just how easy it is to get stir crazy. By the time the afternoon rolls around, you can be so tired of your surroundings that you simply cannot focus. In order to prevent these afternoon lulls from happening, it may be helpful for you to start your day by getting out of the house. If it is something you think you will do regularly, join a coworking space. This is particularly important for freelancers and remote workers. By remaining in your home or apartment, you will be tempted by many distractions, all negatively impacting your productivity and focus. It does not really matter what the activity is, so long as it forces your brain to think creatively. This will change the outlook of your day and get you to see the world differently. Early in the morning, grab a journal or piece of paper and draw a line horizontally through the page. On the top half of the page, write down three to five things that you are thankful for. On the bottom half of the page, write down three to five goals and objectives you have for the day. This simple exercise sets your frame of mind for the remainder of the day. Mark Twain once famously said that if the first thing you do every morning is eat a live frog, you can spend the rest of your day with the satisfaction of knowing that you already conquered the worst task on your plate. In your world, the frog is the big, ugly task or responsibility that you want nothing to do with. By knocking it out early on, you free yourself up to do more enjoyable things later on. Happiness causes us to smile and laugh – but what if the reverse is true as well? What if a simple smile or laugh can make you feel happier? 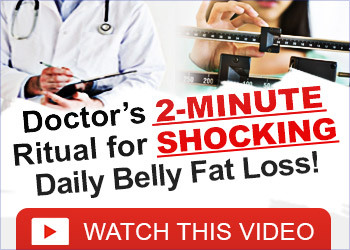 As many doctors have discovered over the years – it can. While it is nice if you can find something to actually smile about, even forcing yourself to do it in the morning will help you feel happier throughout the day. Finally, make sure your mornings are setting the rest of your day up for success. Spend a few minutes getting as prepared as possible. This may mean developing an agenda for a big meeting, gathering some information on a prospective client ahead of a sales call, or cleaning up your email inbox so that you can focus on other things. Depending on where you work or what obligations you have, the rest of your day can easily be influenced or controlled by outside forces. But when it comes to the first portion of the day – those early morning hours – you are in control.